[Johannesburg, 9 November 2017]: A relentless research and development (R&D) regime at Monitech Mining Monitoring Systems, a South African industry leader in mining safety and monitoring solutions, has resulted in an incessant rejuvenation of its Hazardous Area Control System, which has become the methane detection technology of choice in underground coal mining applications. The presence of methane gas in coal mining processes is highly probable. As such, monitoring methane levels in operational mining sections has become obligatory. Available legislation calls for the installation of methane monitoring technology on mining machines to monitor and inhibit production whenever the existence of methane beyond predetermined levels is detected. As a result, methane monitoring technologies have become the gold standard in coal mining applications. 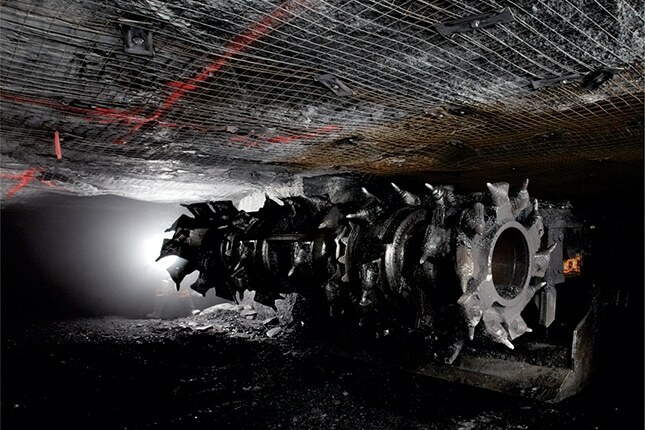 Use of modern-day technologies such as Monitech’s Hazardous Area Control System has helped shape the coal mining industry, especially considering the stringent safety parameters in any mining environment. “It is legislated that purpose-made equipment is used. The technology must be approved under the relevant standards for equipment to be used in hazardous areas,” explains Renier Rautenbach, General Manager of Monitech. Introduced some 15 years ago, Monitech’s Hazardous Area Control System has continuously evolved over the years to become the mainstay of the coal mining industry. Leveraging Monitech’s engineering expertise and many years of product development, the Harzadous Area Control System continues to soar above the competition. As Rautenbach explains, one of the key benefits of this technology – entirely designed and manufactured at Monitech’s Benoni facility in Gauteng, South Africa – is its versatility, which allows it to be adapted to any required platform. “The equipment is also very flexible in terms of its application capabilities,” says Rautenbach. Rautenbach also reiterates Monitech’s strong commitment to its R&D to maintain a competitive edge and market dominance in such a competitive trading environment. He highlights the importance of R&D in the development of Monitech’s products and solutions, as well as improving the performance of existing ones, considering that innovation, which is a crucial element in today’s product development, does not happen without R&D. “The key benefit of using this particular system is that it was designed around the requirements laid down through continuous engagement with our customers to ensure it is best suited to their needs,” he says. Despite a sustained positive response to the technology from the South African coal mining industry to date, Rautenbach says Monitech is continuously working on new development areas to further meet the ever-changing needs of its customers in the quest to maximise underground safety and productivity. The methane detection field was the first business area in which Monitech started operating, and continues to remain the cornerstone of the company’s success. Apart from a sure-fire product that continues to set new standards in the coal mining industry, delivering impeccable customer service has established Monitech as the supplier of choice. “Monitech provides in-depth system training to ensure maximum benefit to its customers,” says Rautenbach, adding that all of the company’s underground support staff are fully qualified specialist underground artisans to ensure the best application-specific support for Monitech customers.